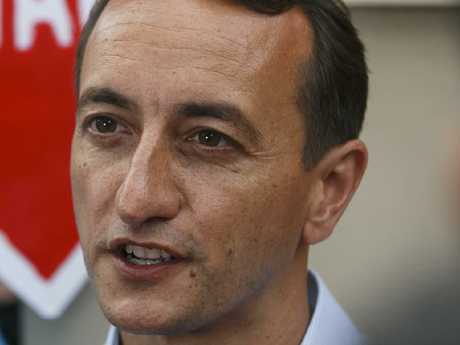 LIBERAL candidate Dave Sharma has all but lost the battle for Malcolm Turnbull's former seat to independent Kerryn Phelps, and MPs are scrambling to apportion blame. 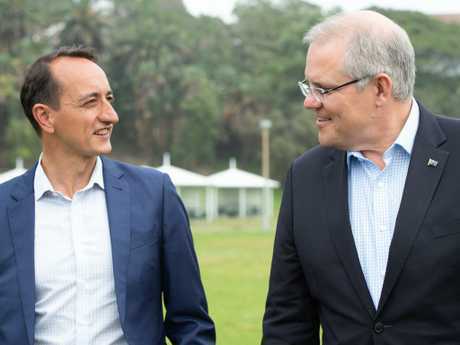 The Government is again in turmoil after a horrorshow by-election in Wentworth on Saturday, which was called in favour of Dr Phelps less than 90 minutes after the polls closed. While a revised count on Sunday afternoon saw the gap between the candidates narrow, it is now almost certain that Mr Sharma will lose as the final postal votes are counted. 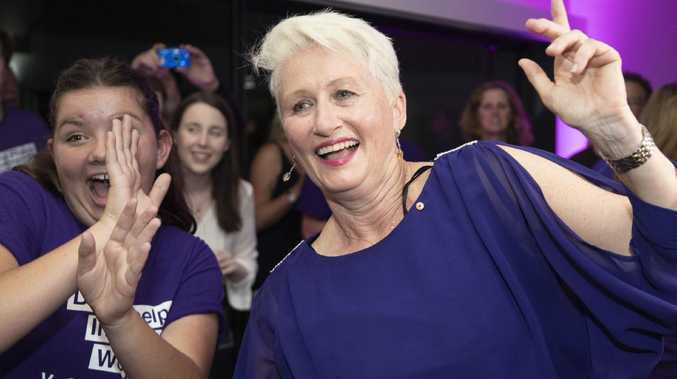 Dr Phelps was ahead by 1626 votes at the last count, and senior Liberals were quick to suggest Mr Turnbull had let the party down by failing to offer support. Mr Sharma said it would have been "more helpful" if the former Prime Minister had publicly encouraged voters to select him. "I was in touch with him regularly through the campaign and, look, whatever he was willing to provide was helpful," Mr Sharma told Sky News. "Whatever more he would have been willing to provide would have been even more helpful, no doubt." 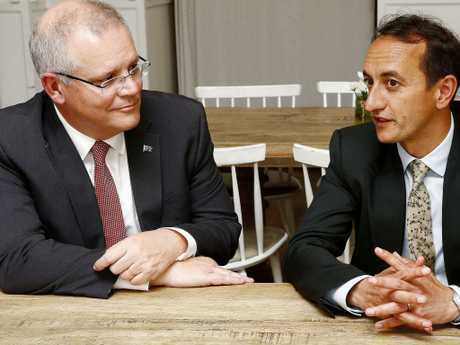 Prime Minister Scott Morrison said there were efforts to secure the help of his predecessor, according to The Australian. "I will be honest about it: those ­approaches were made, they were even made by Dave himself," he said. "But what impact they would have had, ultimately, is for others to judge." Liberal Party president Nick Greiner accused Mr Turnbull of being "precious" while Nationals MP Barnaby Joyce said the former leader had been part of a campaign against the Government. Dr Phelps currently has 51.1 per cent of the vote in two-party terms, with the deadline for postal votes coming on November 2. "This is something I can't control, it's in the hands of the voters," Mr Sharma told Sky. "I'm behind Kerryn and it will be hard to make that up." Morrison on Sunday rejected calls for an early election despite the likelihood of his coalition government losing its majority. "We have been at 75 (seats), not 76, since the former prime minister resigned," Morrison told reporters. "In that time we had been able to legislate, run the Parliament and we haven't lost a single vote." Labor's Manager of Opposition Business Tony Burke said Mr Morrison should call an election before the next one is due in May, saying the Coalition had said strongly in the Wentworth campaign that an independent victory would bring more uncertainty to Australia. Losing Sydney's Wentworth electorate - for the first time in its 117-year history - would give the Government only 75 of the 150 seats in the House of Representatives, with one of their seats being held by the speaker. Labor has 69 seats, while independents or minor parties hold six. 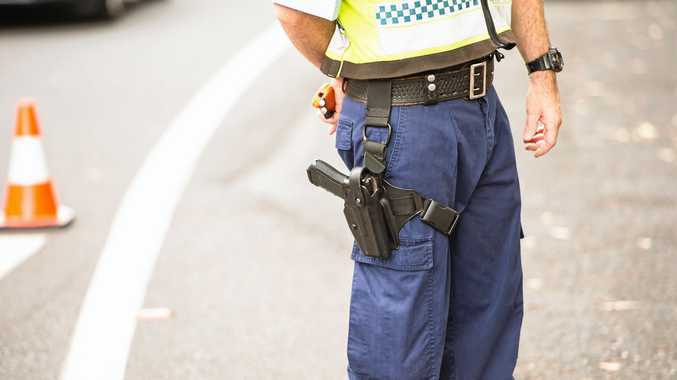 This would mean the the Government would need to find support from the crossbench for legislation it wants to pass. "We have been at 75 (seats), not 76, since the former prime minister resigned," Mr Morrison told reporters. "In that time we had been able to legislate, run the Parliament and we haven't lost a single vote." He admitted the by-election showed voters were furious about Turnbull being ousted. "Liberal voters expressed their anger at the parliamentary Liberal Party ... and we copped that fairly on the chin," Mr Morrison said. "The events of two months ago angered and outraged many Liberals and particularly those in the seat of Wentworth." The disastrous by-election result has been seen as a major backlash from the public against the government, after the country's fourth change of prime minister in eight years via an internal party vote. Dr Phelps said on Sunday she did not support an early election. "All governments should go full term unless there are exceptional circumstances, and the next election is due in May next year and that's time enough," she told reporters. Crossbenchers Bob Katter and Rebekha Sharkie said they would also prefer to see the Government run its full term. Independent Andrew Wilkie said he would not guarantee confidence, while fellow crossbencher Cathy McGowan is yet to comment. Greens MP Adam Bandt said an election should be called and "the sooner we turf out this rotten government, the better". Moderate Liberals have called on Mr Morrison to take more action on issues such as climate change after the upset in Wentworth. But conservatives say the seat does not reflect the rest of of Australia and is not a prediction of what will happen at the next federal election. "It's dangerous to see Wentworth as a generalised or uniform Coalition seat. It's quite an extraordinary seat," Peta Credlin told Sky News. "It had a high personal following there for Malcolm Turnbull. In fact when Kevin Rudd was elected in 2007, everybody else went backwards - remember, the then-prime minister John Howard lost his seat - while Malcolm Turnbull had an uptick in his vote." 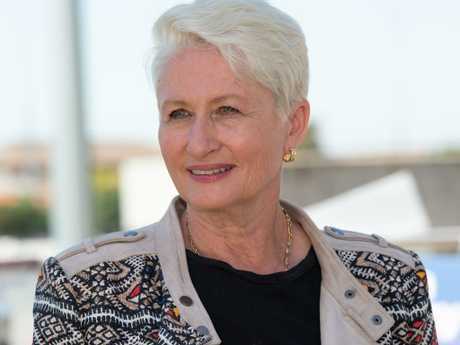 She said the issues that had helped Dr Phelps win, such as the ABC and the treatment of refugees on Nauru, would not necessarily resonate elsewhere. "I think in the seats that change government, those true marginals, Scott Morrison would run better than Malcolm Turnbull. But this is a big hit for them. It's absolutely a big hit." Ms Credlin said Mr Morrison's job would now be infinitely harder and his government would struggle to seem legitimate. "The government has got to be careful from hereon in that they are not seen as illegitimate."